Home schooling is really an interesting thing. Of course, everyone who home schools knows that everyone who home schools does it completely differently. There seem to be a billion curriculum choices to make and it can be overwhelming - even to those of us who are moderately "seasoned" in the whole endeavor. That all said, I did finally get down to business in the handwriting and history department. 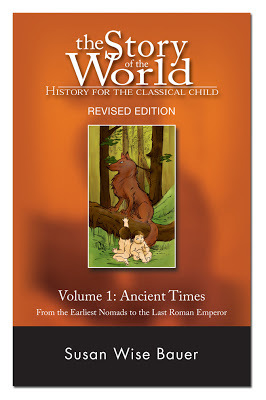 I had an encounter with a home schooling mom, at a conference we were both at, who was using the Story of the World books for history. I picked her brain as to why she liked them and she was very helpful with her response. (Several of you have also mentioned once or twice that you've used this series.) 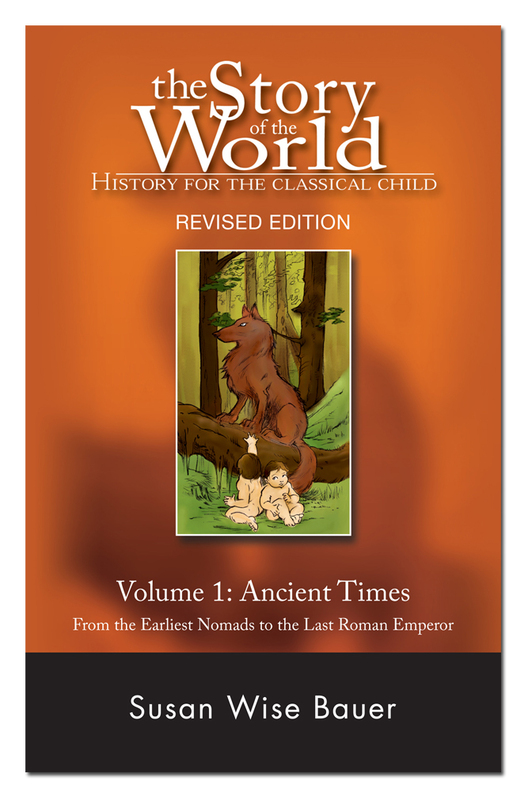 In summary, she convinced me this was a set of books worth reading and so I purchased and we have begun reading The Story of the World : Ancient Times: From the Earliest Nomads to the Last Roman Emperor . We've been going to the library more frequently in conjunction with our studies, bringing home books about archeology and the Ancient Egyptians, primarily. At some point, I was thinking I should type up a list of our favorite (non-fiction) picture books which we've been using. I also checked in with Barefoot Books and they have some titles which are great to add to our studies as well. For example, they kindly sent a copy of We're Sailing Down the Nile . 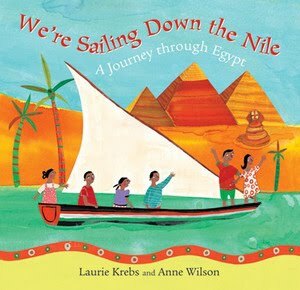 In this book by Laurie Krebs we climb aboard a river boat to go sailing down the Nile with a few friends. On the way we see temples, a market place and the pyramids. Each page spread also has a small illustration in the upper right hand corner depicting one of the Egyptian gods. The best part about this book, in my opinion, is the map at the end which is illustrated by Anne Wilson. There are little icons to show where Lower Egypt is, and Upper Egypt. We see that Giza is quite a distance from the Valley of Kings and it was very good to get a better picture in one's mind of where things are located. There is also a page spread explaining who the gods and goddesses were, as well as what life looked like back in Ancient Egypt. I probably liked the back pages of information more than the story but it was still a handy book to be able to read through. Now, obviously, being that we are Christians, we believe in one God and only one God. I wasn't sure how Bookworm1 would take to hearing about the Ancient Egyptians and their beliefs. This study has certainly prompted a lot of discussion but he has shown me that he can clearly differentiate between facts and fiction and has an understanding of what we believe versus what was believed in Egypt. It has been very good to talk through these things. Now, you can read that above paragraph and get riled up in two specific directions that I see, and you may find yourself wanting to jump down my throat over either. I'll just say this: I think one ought to be cautious in teaching their children about what are false religions. Certainly I think it's ok - and even beneficial - to learn of them. But you have to know your child and know when they are ready to take in the information in a mature way, dealing with the information appropriately. I know a lot of Christians my age who were raised in fairly strict settings who are taking the opportunity in their adult years to explore many things that their parents and Bible teachers marked as "forbidden" during their childhood and teenage years. There seems to be a great tendency to throw the baby out with the bathwater, where they begin to question everything first instead of first acknowledging that there are some great truths which they would do well to hold on to. I'm really glad that we went with The Story of the World. I love using Legos - for fun and for learning. I like that we're practicing our writing by deciding what it is that we want to say to retell the story in our own words. I like the time we're spending together. And, the study is making me more curious about Ancient Egypt as well. Alongside Bookworm1, I've picked up The Discovery of the Tomb of Tutankhamen , by Howard Carter which has been such fun! I'll definitely talk more about that later. All in all, this has been highly educational. You'll have to forgive me the occasional home school oriented post as we work our way through our own variety of schooling! Posts like these are bound to pop up occasionally. I use the Story of the World series as well - we're really enjoying it. We've just about finished volume 2 and are ready to jump into volume 3. They just get better and better! 1) You'll have no need to seek my forgiveness for "the occasional home school oriented post" as I love reading about your experiences, especially as a home school graduate yourself. 3) Glad you're enjoying studying history with your kiddos--it's one of our favorite subjects to study together (a close second to literature, wink). @QOC - Yup, I am careful about Bookworm2's (age 3) exposure. He's unable to handle the information just yet. Usually he and his little sister are playing on sidelines and seem oblivious. And when he is present, I make sure I'm excessively clear in very simple terms about the differences. Just from reading the Bible and Bible stories, M knows that some people worship idols and false gods. It doesn't make it easy to explain though! Finding that balance between too much and not enough exposure is hard. I used to be concerned about my kids exposure to my own unsaved family and the myriad things going on there, but then realized it gave them a good picture of what a worldly life looked like with its negative consequences. Of course, some things we still had to be careful about discussing and observing -- sometimes while visiting we'd have to pull them into the kitchen for a game while trying not to do so in a way that was offensive to my family. I think both Bible stories and hearing missionary stories both in books and in church help open kids' eyes as well. Good for you for letting your children learn more than a narrowly prescribed "approved" area of knowledge. I wholeheartedly concur with your approach, and I love that your kids enjoy all of the fun stuff that goes along with it. I was a bit (pleasantly) surprised that you went with Susan Wise Bauer, since most of my conservative homeschool friends (and family) consider her to be the very devil for failing to toe the strict line that has become practically a litmus test for whether one is a "real" Christian homeschooler. We too are enjoying The Story of the World, and my kids, like yours, seem to have no difficulty differentiating between fact and fiction, true and false gods, and so forth. I agree with Carrots that the Bible does make more sense in the context of the ancient myths. I might also add that a knowledge of the philosophers whose ideas shaped the ancient world can be helpful, too, in understanding much of the cultural baggage that seems foreign in our modern times. Feel free to keep making "home school oriented" posts. As we have found, the beauty of home schooling is that there is no definite line between "school" and the rest of life. We are always learning, whether it involves a textbook, an amusement park, or a walk in the woods. We also used Story of the World and enjoyed it. Still plugging away at SOTW here, too. We're over half way through volume 2 and still enjoying it. I love the idea if letting Bookworm narrate using Legos. What a fabulous way to to it! At some point you may enjoy D'Aulaire's Book of Greek Myths. I checked it out but R. isn't ready yet. Thanks for sharing all of your thoughts! *GRIN* I am very excited to hear about what you do in the schooling realm. I have liked what I heard about Story of the Worlds for awhile now but haven't had a chance to use it yet,(blasted curriculum confinements!) next year I will be going more with the "unschooling" route and am planning on using it then. I LOVE your use of LEGOs for learning! My children have always been exposed to ancient Egyptians and have always felt rather sorry for the people who didn't worship the one true God. 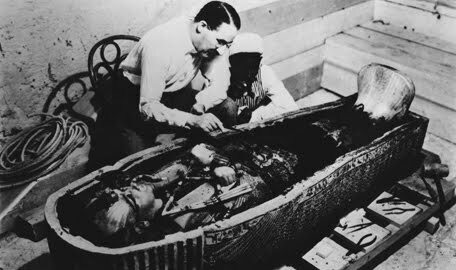 We had the opportunity to see the traveling King Tut exhibit a few years ago and it was AMAZING! We especially liked the few things that were from the tomb of the people who may have been JOSEPH and his wife!! When you know the truth it IS the truth, everything else can be compared to it and will fall short.